Cervical cancer is the second highest cause of cancer deaths in Fiji, says the Ministry of Health. The disease is higher in the iTaukei population than among our Indo-Fijian community. Cervical cancer is the second highest cause of cancer deaths in Fiji, says the Ministry of Health. The disease is higher in the iTaukei population than among our Indo-Fijian community. Speaking at the first Cervical Cancer Screening Policy and Screening Equipment handover launch at the Tanoa Plaza Hotel in Suva yesterday, Mr Usamate highlighted the risks of the disease. “Annually there are approximately 161 new cases of cervical cancer with an estimated incidence of 37.8 per 100,000,” Mr Usamate said. 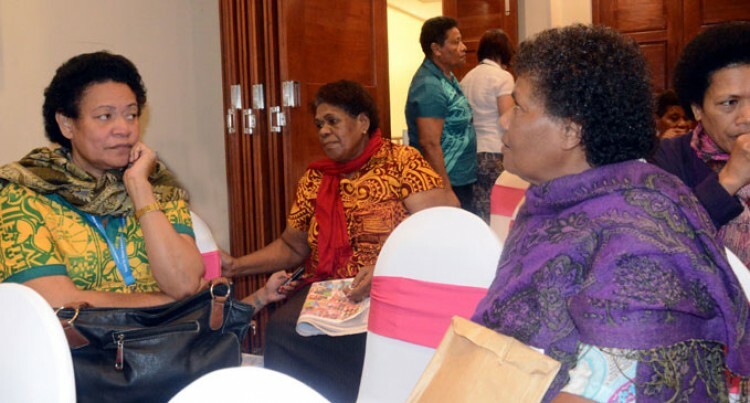 Meanwhile, the Fiji Nursing Association general secretary, Salanieta Matiavi, said the policy would assist nurses and doctors in doing their work. “This is first in the country and this is a milestone achievement for Fiji. This shows that we are committed into making our country are healthy one,” Mrs Matiavi said.